Interested in handmade jewelry? Check out my friend’s Etsy store: Hot Shot Designs. Or follow her on Facebook. It’s Fastnacht Day! Unless you are from Pennsylvania, USA, you probably have no idea what a fastnacht is or why it has a day. The word fastnacht means the night before the fast. The “fast” marks the Lenten period before Easter. 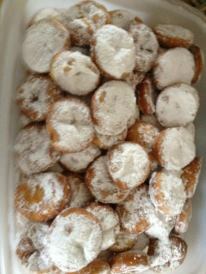 Fastnacht Day is the same as Shrove Tuesday, Fat Tuesday or Mardis Gras and is the day before Ash Wednesday. Many Christians traditionally abstain from sweets, fats and the like during the 40-day period before Easter as a means to prepare themselves to commemorate their belief in the resurrection of Jesus. The Pennsylvania Germans, also known as the Pennsylvania Dutch, were no different. Anecdotally, the Pennsylvania Dutch used the flour, fat and sugar left in the house to make a type of fried doughnut known as the fastnacht. 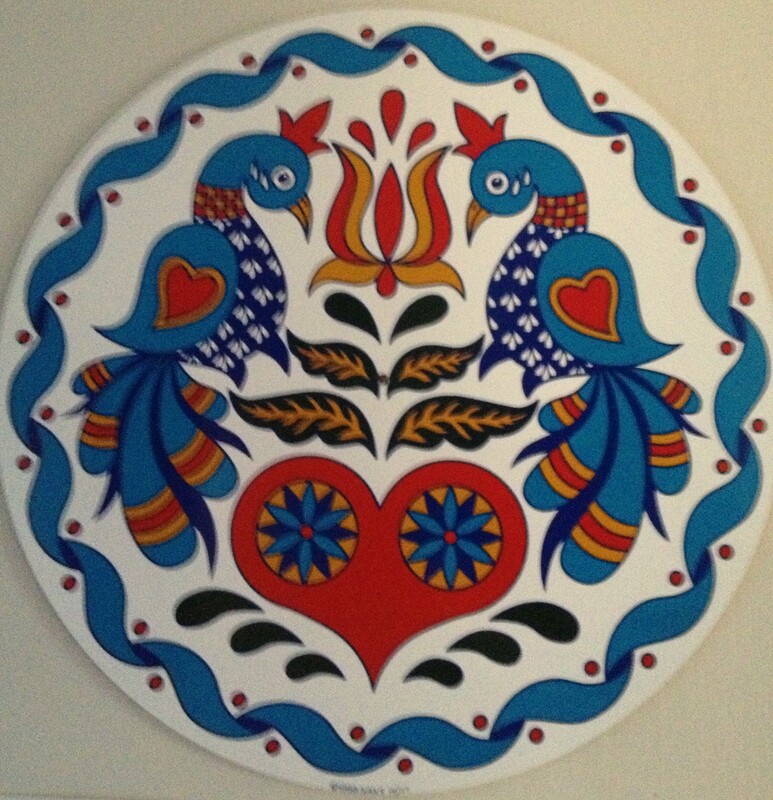 My ancestry includes the Pennsylvania Dutch. Most of my family still lives in that area of the state. Of course, I moved a continent away many years ago. Once my son, who is now 14 years old, was old enough to enjoy special treats, I decided to try my hand at fastnacht making. Over time, I believe I’ve become quite good at it too. Many people have asked me to share my recipe. Here, it is. Machs gud essen. Scald the milk in a pot over medium-high heat. Be careful not to burn the milk. Stir it occasionally and remove from heat before it boils. In a large mixing bowl (I use my KitchenAid mixer), combine the milk and the mashed potatoes. Add the 1/2 cup of sugar with the stick of butter. The butter will melt in the warm mixture. Mix until blended. In a small bowl, dissolve the yeast and 1/2 tsp. of sugar in the lukewarm water. Add the yeast mixture to the potato mixture. Mix well. Add 2 cups of flour and mix thoroughly. Cover with a clean towel and allow it to rest for 25 minutes. In another small bowl, beat the egg with the salt. Add to the mix. Add 4 1/2 cups of flour slowly. When the dough begins to ball up, remove to a floured board and knead for 3 minutes. The dough should be springy and not sticky. 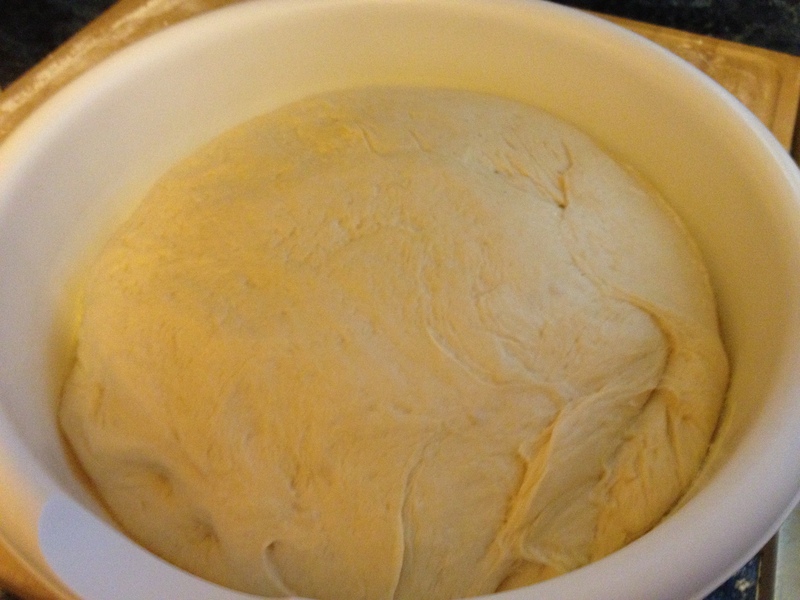 Allow the dough to rise for 2 hours. Remove the dough from the bowl and place on a floured board. 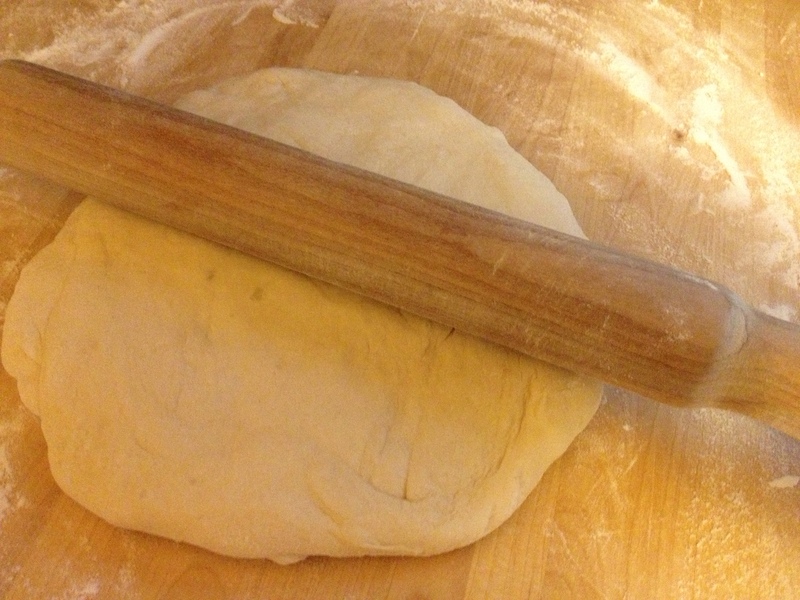 Roll the dough out to 3/4 inch thickness. You may use a pizza cutter to cut the dough into 3″x3″ squares or use a plastic cup to obtain a traditional doughnut shape. Cut or form a hole in the center. Cover several large pans with parchment paper. 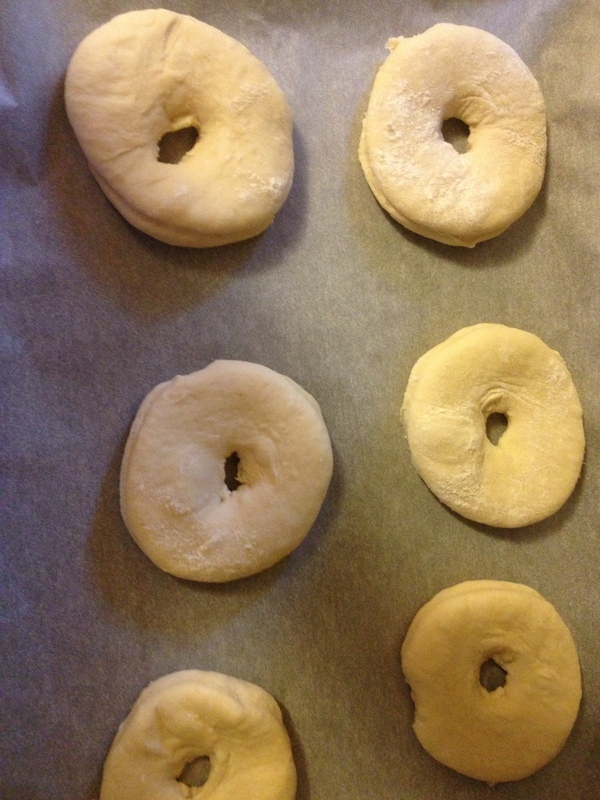 Place the doughnuts on the paper a nd lightly cover with plastic wrap. 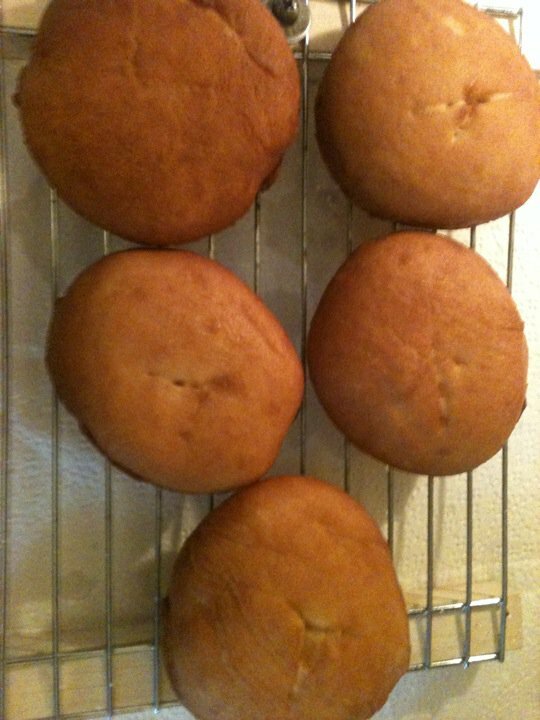 Allow the doughnuts to rise for 1 hour. 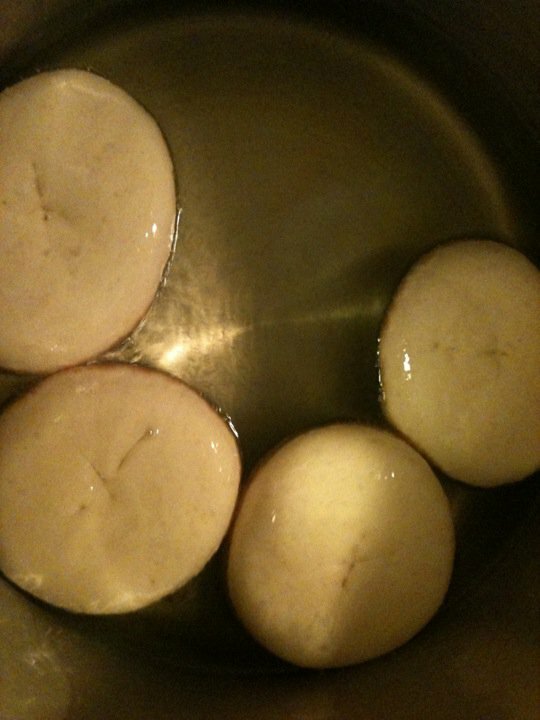 In a heavy deep pot, bring the Crisco to 350 degrees F.
Fry the doughnuts 2 or 3 at a time until both sides are browned. Use a slotted spoon and remove the doughnuts to a rack. Dust with powdered sugar or enjoy as is.